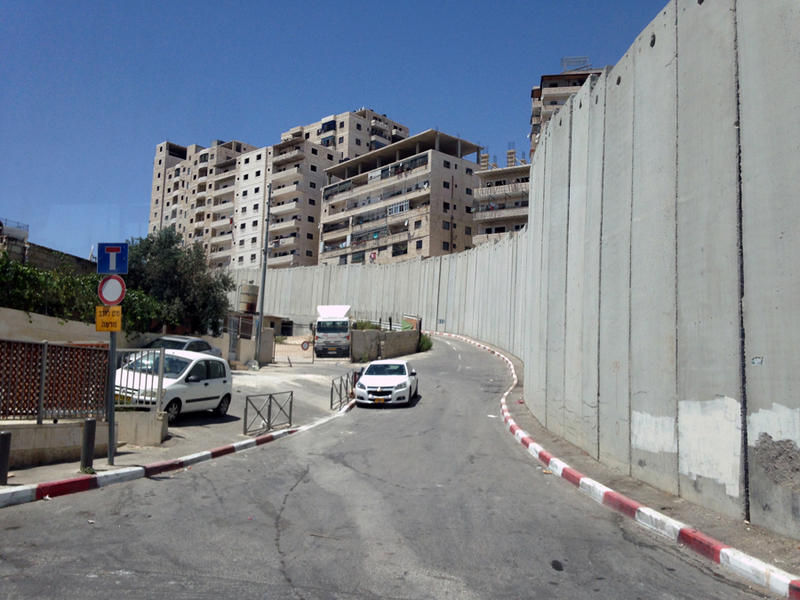 This article is the second installment of a series of five that operate as a report of my most recent (too short) stay in Palestine this month. 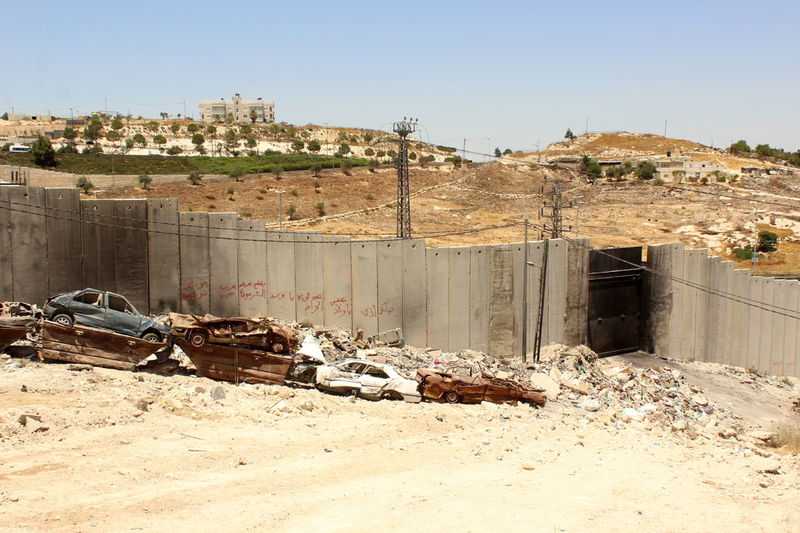 This particular article attempts to give a spatial account of the specific case of the Shu’fat Refugee Camp in East Jerusalem-Al Quds, which has been almost entirely walled off by the Israeli government and the Jerusalem municipality since 2004. The documents presented here, like many of the articles on this blog, can be legitimately perceived as arid and problematically suggesting the absence of people (to the exception of a few figures here and there) in an however densely inhabited place and, as such, condemned the bodies subjected to the Apartheid apparatuses to be represented without a sense of agency. Any other approach from my end would however be marked of the symptoms of an even more problematic ethnography, capturing and loosely interpreting personal stories in a dangerous attempt to seize the essence of the residents. 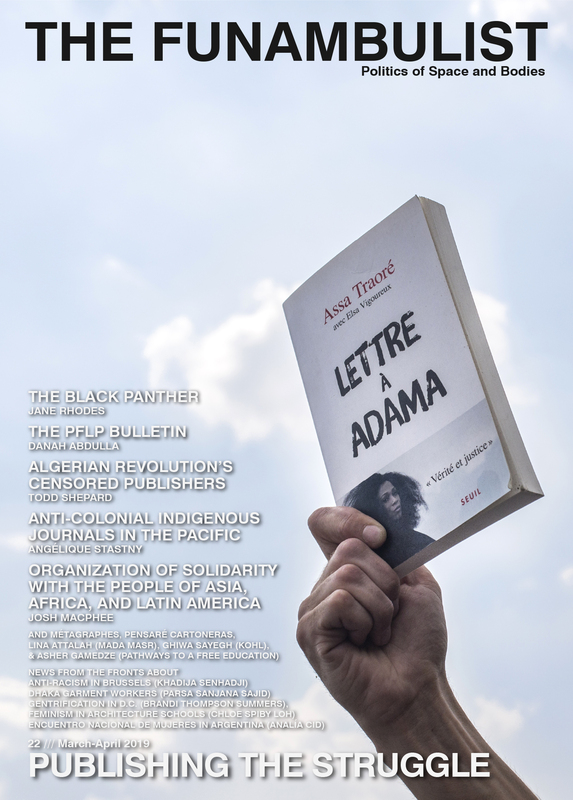 My hope is therefore that this account could be read alongside other documents, including the architecture project designed by Sandi Hilal and Alessandro Petti (Decolonizing Architecture) in the Camp, as well as the article “We Are Orphans Here” written by Rachel Kushner for The New York Times Magazine in December 2016, despite the latter’s serious concessions to such an essentialist and depoliticizing ethnographic practice — see also Luca Locatelli‘s photographs in this same article for a more incarnated vision of the Shu’fat Camp. 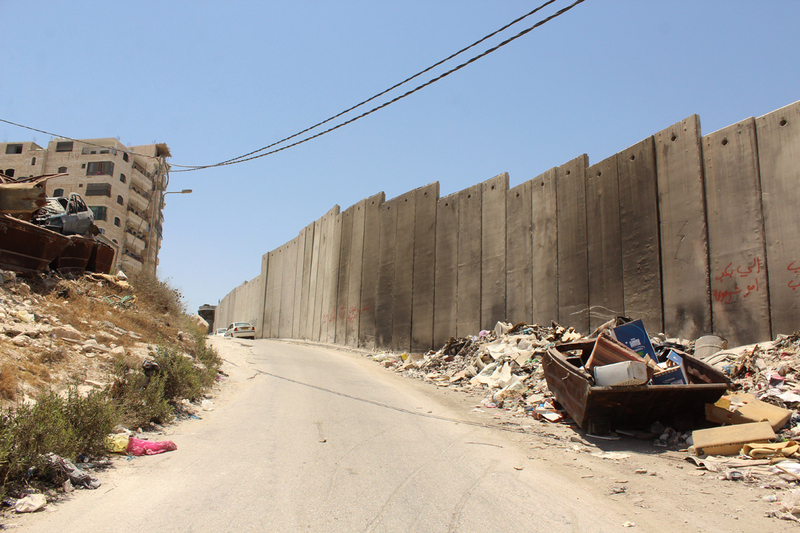 The Shu’fat Camp counts 12,500 Palestinian refugees registered with UNRWA, most of whom were or had their parents or grandparents dispossessed and displaced during the ethnic cleansing that founded the State of Israel in 1948. 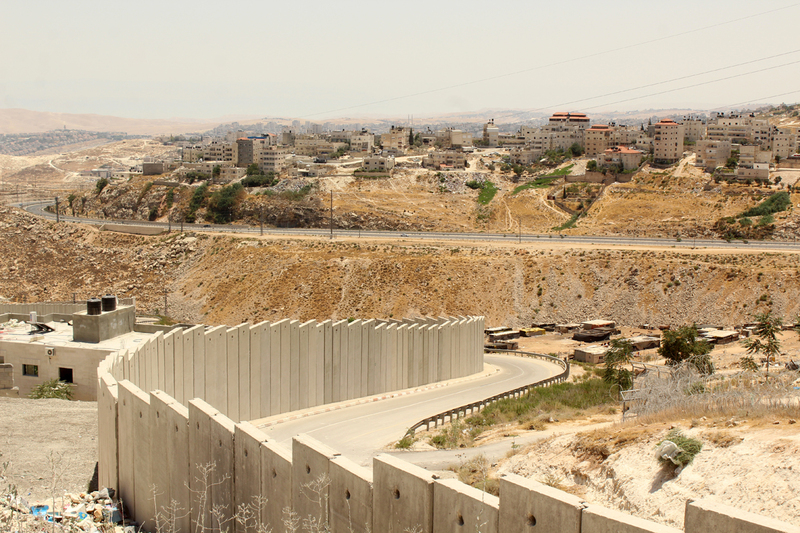 A few others have been refugees since the 1967 Israeli invasion of East Jerusalem that was also enacted through great violence and displacement. 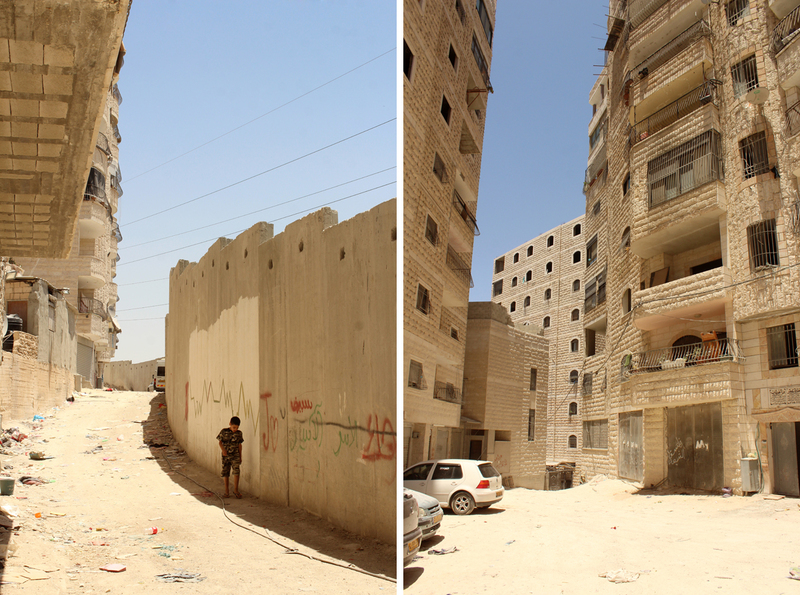 The up-to-twelve-floor towers that populate part of the Camp territory are however the homes of a much larger number of people — around 70,000 more of them. 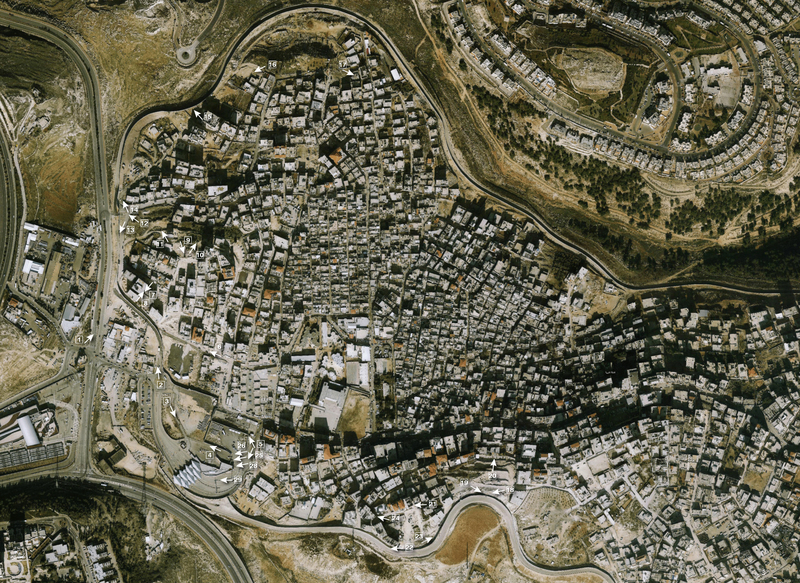 The reason for this is that the Shu’fat Camp is part of Jerusalem’s municipal jurisdiction as it was defined by the Israeli government after the 1967 invasion and the 1980 official annexation of the eastern part of the city. As such, residents have the right to the city — Henri Lefebvre’s concept, fashionably used everywhere, could not take a stronger sense here. The State of Israel being obsessed by questions of demographics, its Ministry of the Interior never misses an occasion to revoke this Jerusalem resident status to Palestinians who cannot prove that their “center of life” is in Jerusalem. 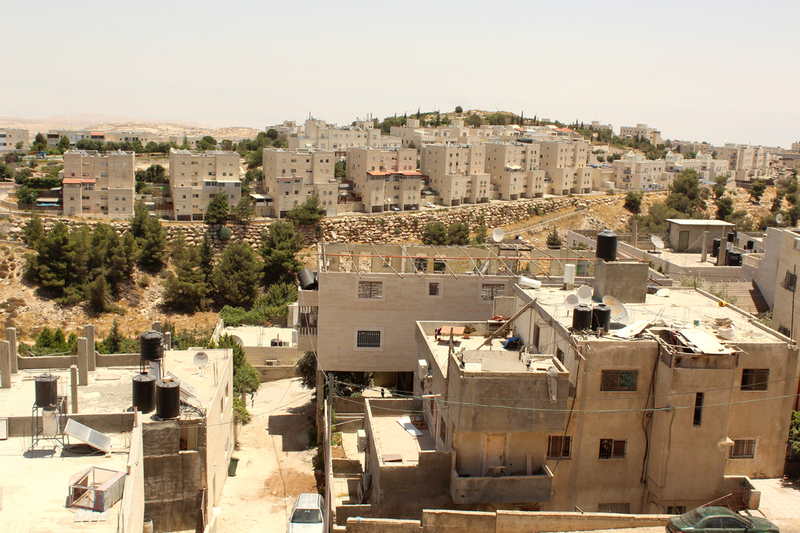 Thousands of Palestinians have therefore moved to Shu’fat to keep their Jerusalem ID, while paying significantly lower rents than the prohibitive ones that the rest of the city practices. 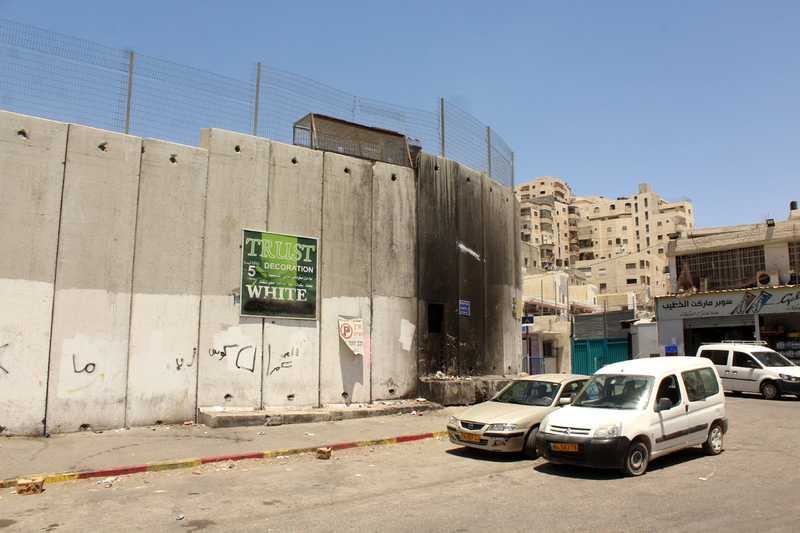 In 2004, when the Sharon administration decided to wall off the largest part of the West Bank from its most western part (where many Israeli settlements are situated) and Israel, the trace of the Apartheid Wall more or less followed the line of the Jerusalem municipality as forcefully established by the annexation, to the exception of two predominantly Palestinian neighborhoods: Qalandiya (where is situated the well-known checkpoint violently filtering Palestinian movement between Ramallah and Jerusalem), and the Shu’fat Camp. 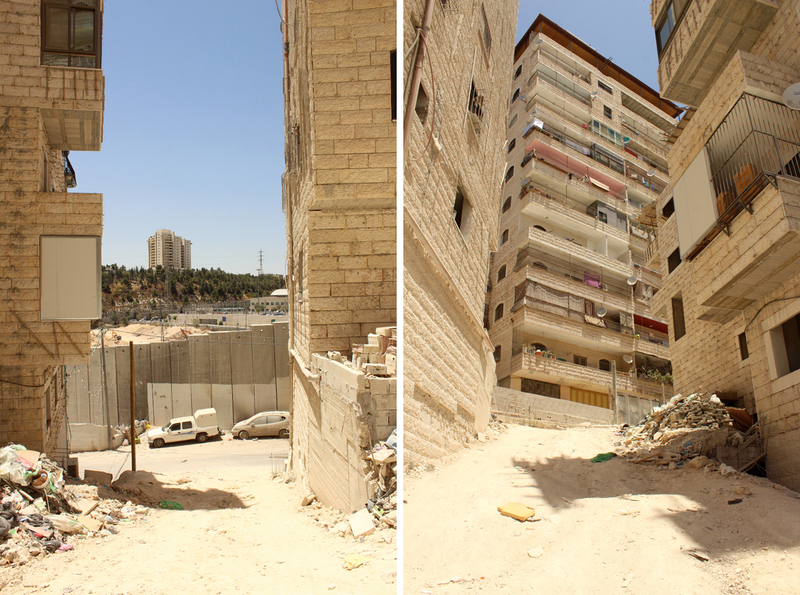 The result of such a segregative split is that these two areas were left de facto without any jurisdiction, Jerusalem’s municipal services refusing to operate beyond the Apartheid Wall. 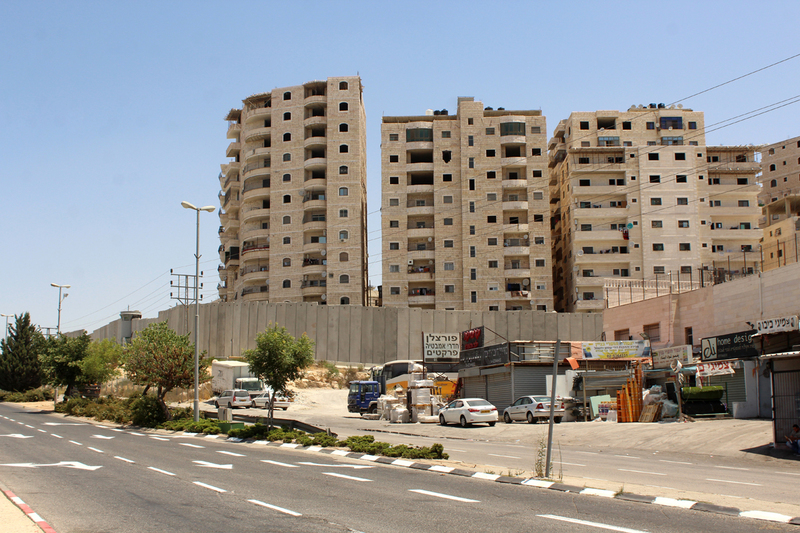 This absence of jurisdiction however does not apply to taxes and, as the State of Israel operates under the claim that the entire city of Jerusalem is under its sovereignty, residents of the Shu’fat Camp pay taxes to the occupying state, often having to hire a bilingual accountant to process the paperwork in Hebrew as Kushner tells us in her article. 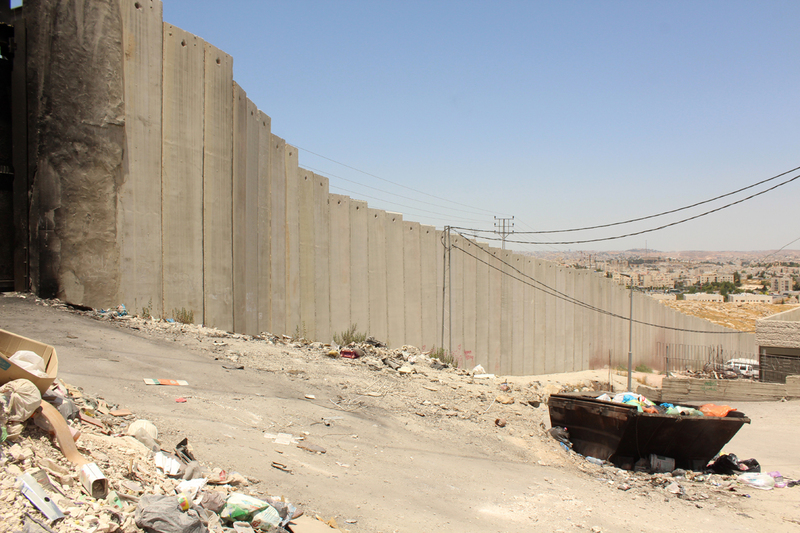 The Apartheid Wall, as well as the Israeli settlements of Pisgat Ze’ev (in the North) and the French Hill (in the South), surround almost completely the Shu’fat Camp, leaving only two points of access to mobility to its residents. 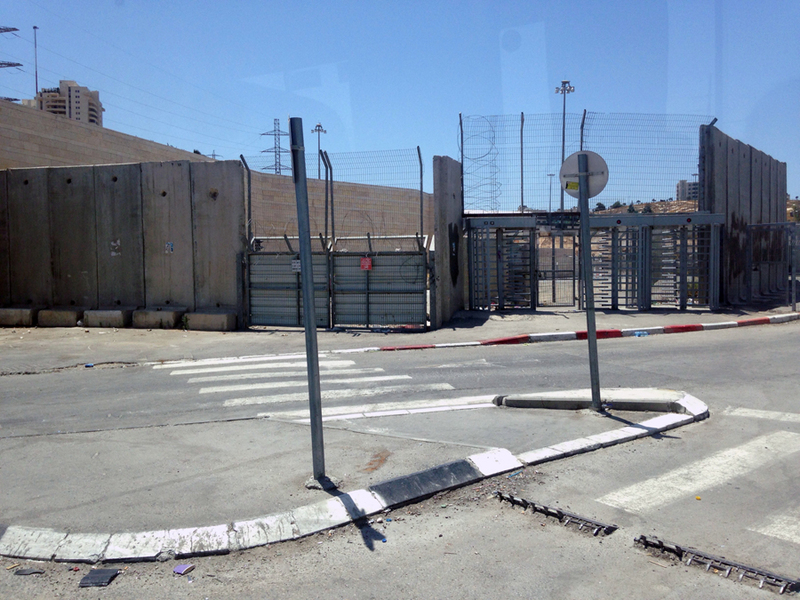 The first is on the Jerusalem side, through a militarized checkpoint that can be closed at will, and where all bodies proceeding through corridors of fences, concrete blocks, and narrow turnstiles are expected to produce Jerusalem ID and are searched by Israeli soldiers. 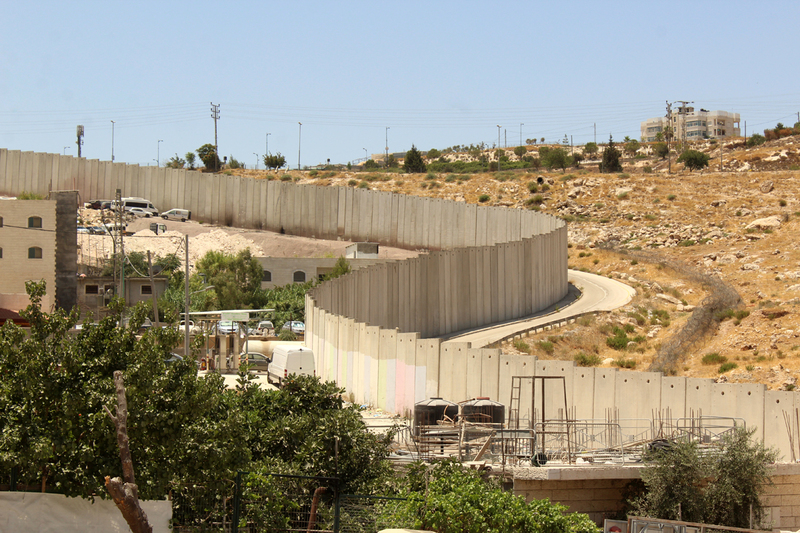 The second is on the West Bank side, through the neighboring town of Anata in Area B (under the Palestinian Authority civil jurisdiction and Israeli military control), virtually surrounded by three Israeli settlements and the Apartheid Wall, and linked to the rest of the West Bank by a sole road. In conclusion, it is crucial to consider the Shu’fat Camp for what it is: an effectively walled off neighborhood part of a city where any form of municipal service (garbage collection, fire fighting, hospitals, public school, etc.) 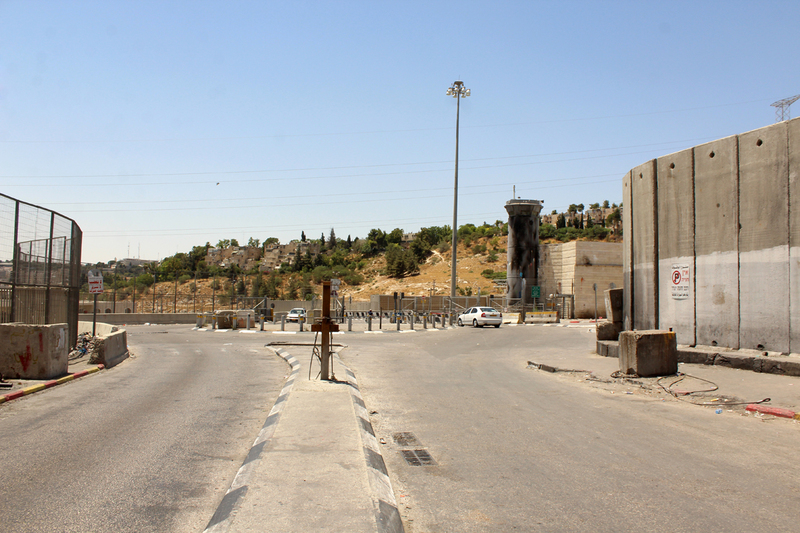 is denied and any connection to the rest of the city is controlled, policed, and prevented at the discretion of an army of occupation. Insisting on the Shu’fat Camp being an unalienable part of Jerusalem-Al Quds is important for at least two reasons: in the context of the Palestinian struggle, it allows us to understand at the relatively small scale of a city — and not just any city — the way the Apartheid and colonialism operate; in a more global context, it allows us to think of this urbanity as an extreme form of neighborhoods of so many cities that are discursively symptomatized to the point of defining them as so-called “No Go Zones,” effectively segregated from any form of economic, cultural, administrative and social centrality in the city, and violently and racially policed in impunity. 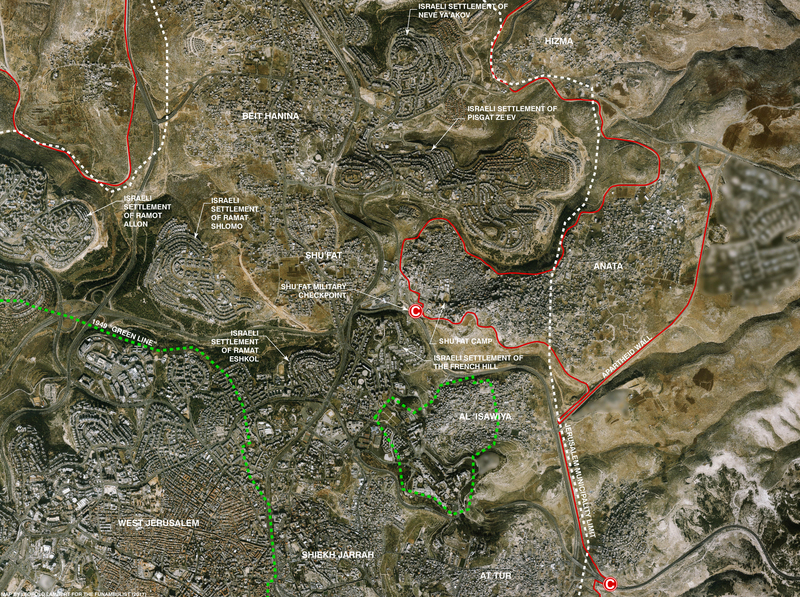 GENERAL MAP /// For a full map of East Jerusalem-Al Quds, see the first article of the report. Click on the image to see the photo keys. 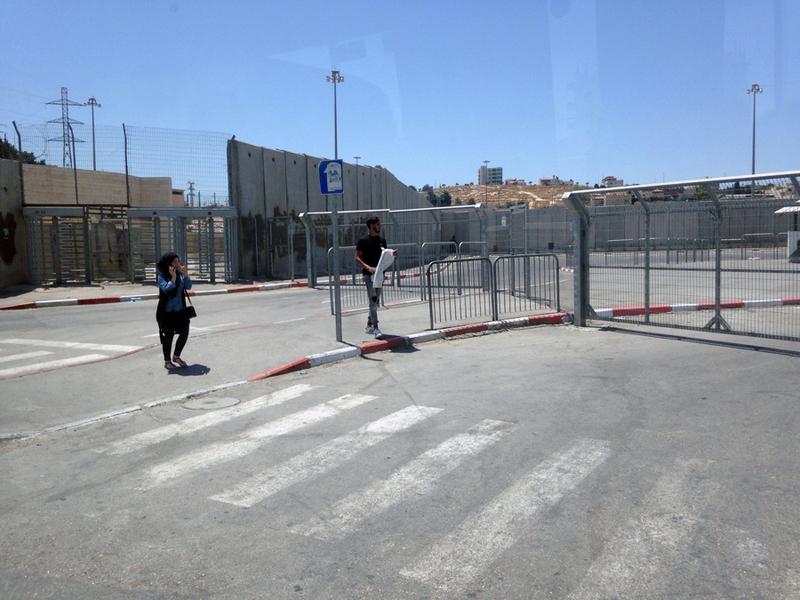 Photos 3&4: fenced corridors outside the checkpoint. Photo 10: click to access a high-resolution version. 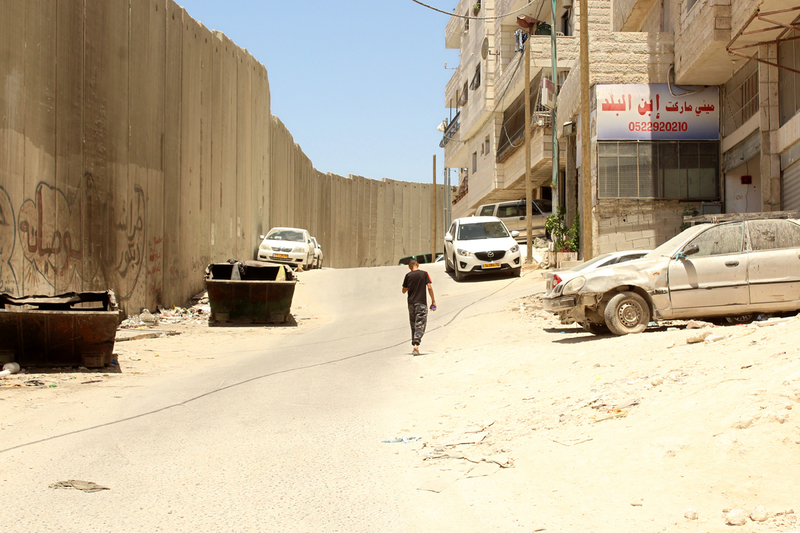 Photo 12: what used to be another checkpoint in the first years of the wall is now sealed off. 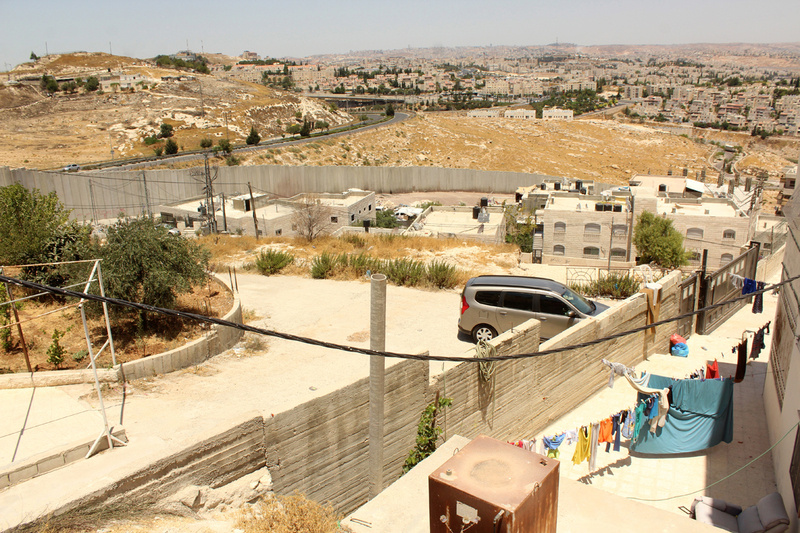 Photo 17. looking at the Israeli settlement of Pisgat Ze’ev on the other side of the Apartheid Wall. 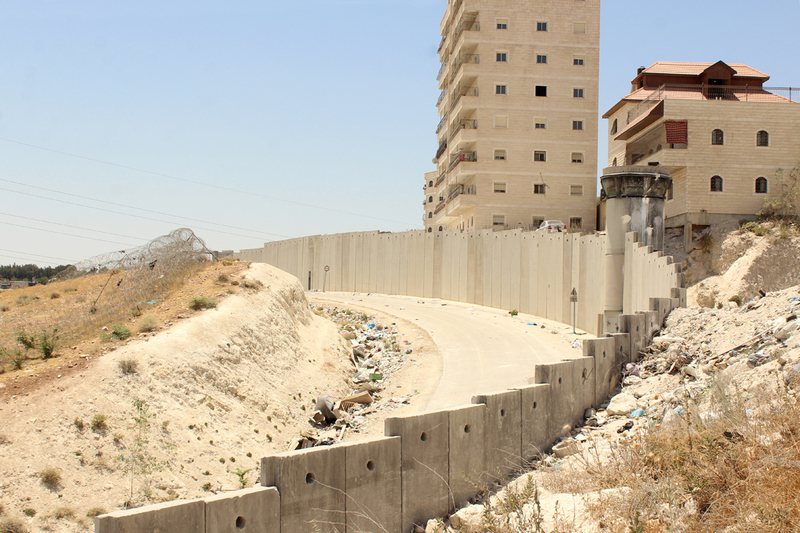 Photo 18: the road between the Apartheid Wall and the barbed wire rolls is a military one. 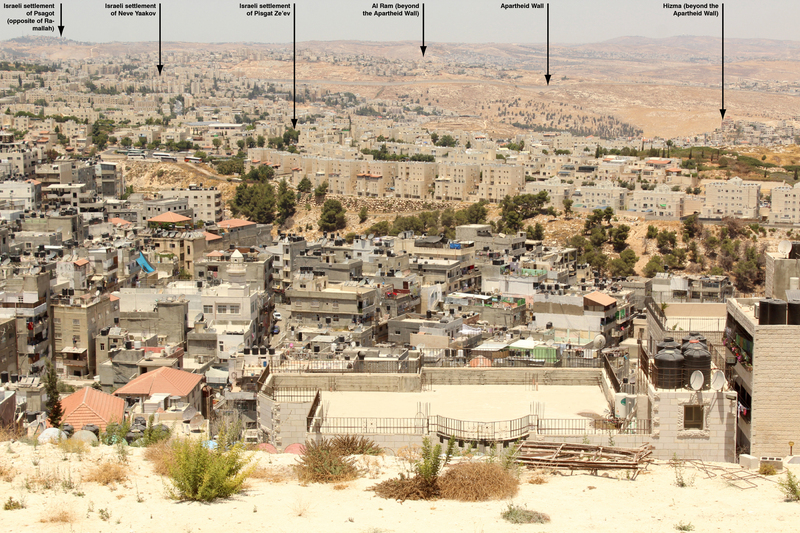 Photo 19: looking at a Bedouin village, the Al ‘Isawiya neighborhood and, in the background, the largest Israeli settlement, Ma’ale Adummim. Photo 20: click to access a high-resolution version. 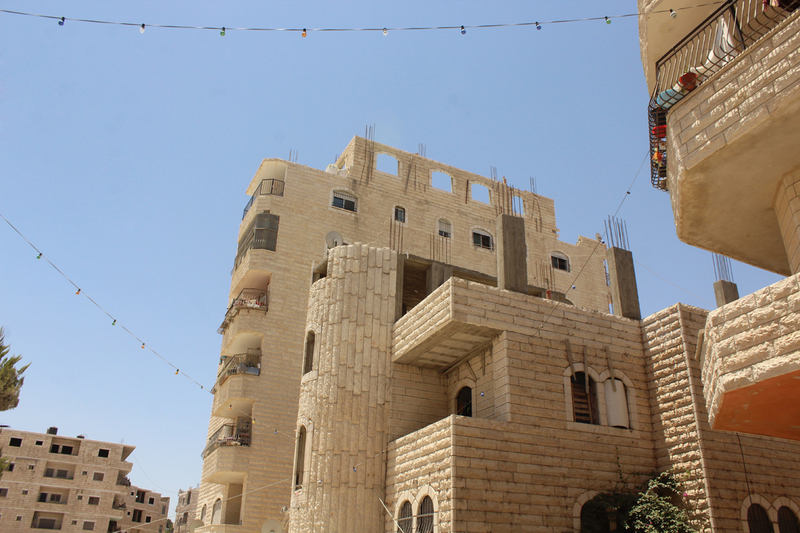 Photo 21: many buildings are incomplete and can accommodate extra floors. 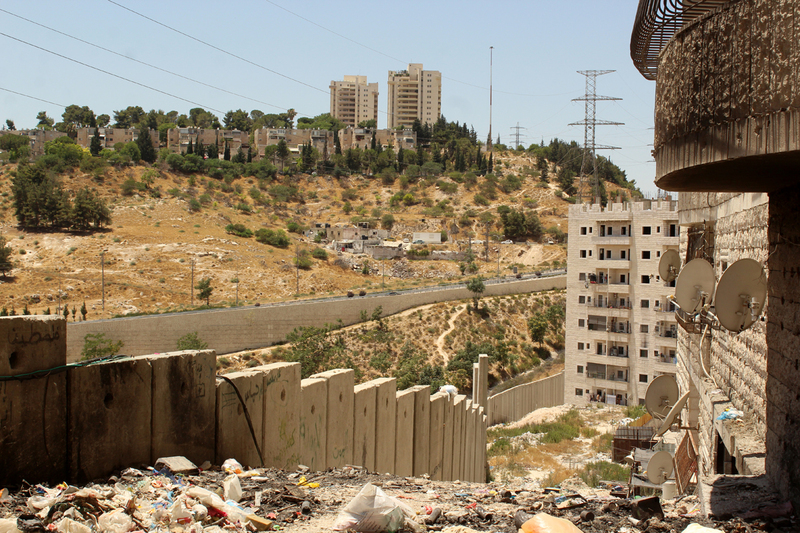 Photo 22: looking at the Israeli settlement of the French Hill. 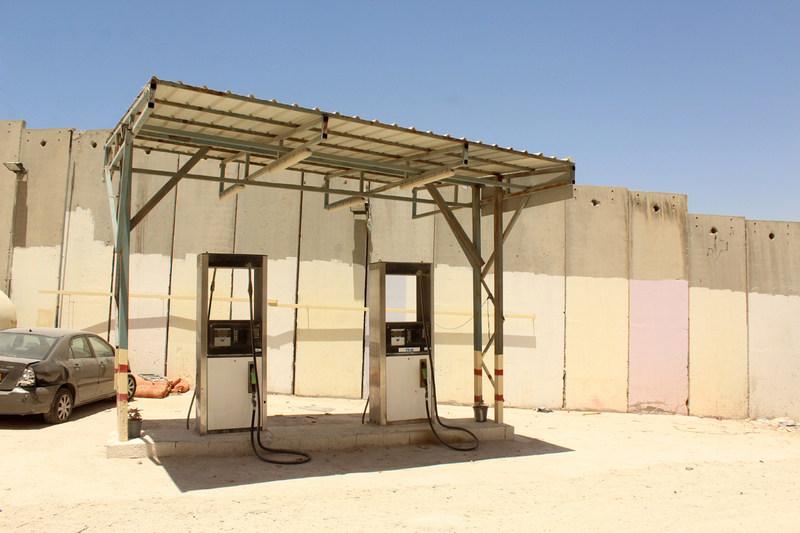 Photo 25: towards the checkpoint. Photos 28&29: reaching the chekpoint.